Report will determine if steps should be taken "against the president," he said. A former top-ranking official under Presidents Obama and Clinton said Democrats should hold off on impeachment proceedings if they win control of the House of Representatives in the midterm elections. Leon Panetta, a defense secretary and CIA director under Barack Obama and chief of staff to Bill Clinton, told "This Week" Co-Anchor Martha Raddatz in an exclusive interview that Democrats should not consider impeachment proceedings until special counsel Robert Mueller releases a report on his investigation of Russian interference in the 2016 election and the possible involvement of Trump associates. “No, not at all,” Panetta responded. “I think the most important thing that the Democrats could do is to allow Bob Mueller to complete his work." 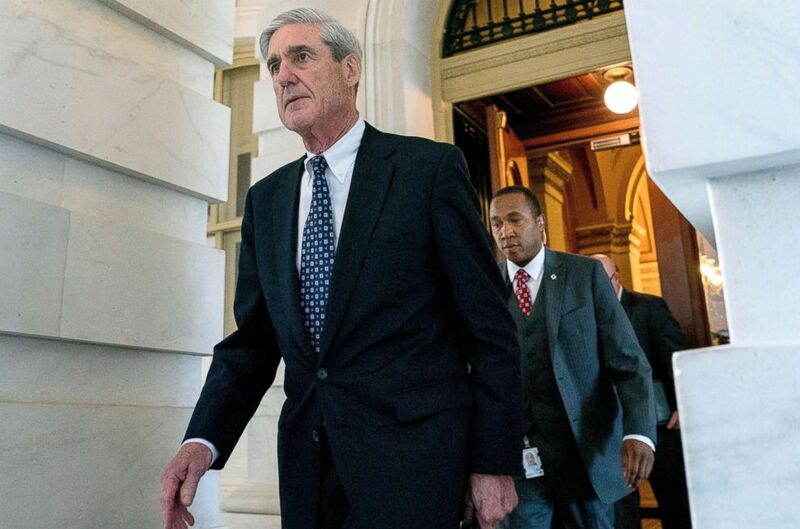 (Andrew Harnik/AP, FILE) Robert Mueller, the special counsel probing Russian interference in the 2016 election, departs Capitol Hill, June 21, 2017. Raddatz asked Panetta if he is concerned that the president's legal team could undermine the special counsel's investigation, citing a report in The Daily Beast that Trump's lawyers are preparing a "counter-report" to cast doubt on the legitimacy of the Mueller probe. Panetta said Trump and his legal team should be careful that some of their actions and public pronouncements about the special counsel investigation are not viewed as attempted obstruction of justice. “They’re getting very close to making a case for obstruction of justice, not only by the steps that were taken in terms of the president demeaning and attacking a 'witch hunt,' but also the fact that [Trump lawyer] Rudy Giuliani himself said that the whole purpose of their effort is to undermine the credibility of the special counsel,” Panetta said.